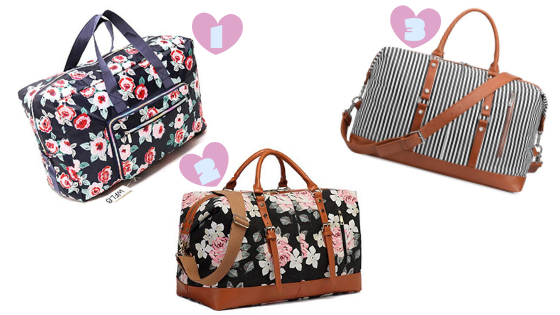 These duffles are soo cute! I am in love with duffles. I love that they're easy to carry and can fit enough items for overnight/weekend trips. I loved these designs, the 2 with the brown leather-like straps are my favorites! I love that all of them are black so finding another small bag or backpack to match them won't be hard. 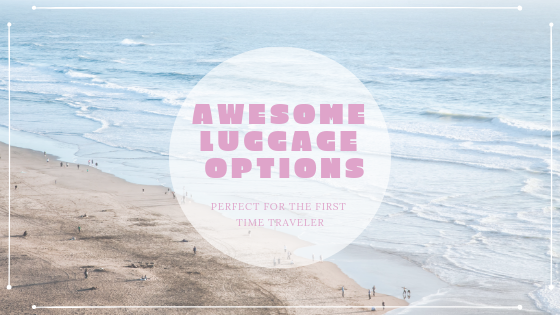 For longer trips I definitely want to get something bigger and easier to carry! Last time I took a week long trip to Nevada to see my sister I had 4 bags: my duffle, computer bag, a large backpack(for more clothes and shoes) and another small bag for toiletries, jewelry and makeup. Carrying all of these into our hotel we stayed at and then to the elevator and down the hall to our room should've been an Olympic qualifier! Just kidding, but seriously, it was insane! Having a larger luggage with wheels would make it so much easier to move around. Bonus if I get a duffle to match that can sit on top of the luggage and attach to the handle like number 7! I loved these designs, because they were super chic and so feminine. Plus I am loving rose gold and all things floral right now!! Honestly, I am already soo excited to travel, but shopping for travel necessities is definitely adding onto the excitement! It makes it feel much realer and closer to happening! Do you have any travel plans for 2019? Any recommendations on places to go? Let me know! 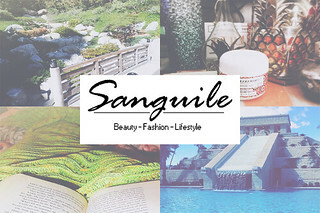 Disclaimer: This post does contain some affiliate links!